LOCATION.--Lat 43°01'23", long 75°51'31" referenced to North American Datum of 1983, Madison County, NY, Hydrologic Unit 04140202, on right bank 50 ft upstream from bridge on Dyke Road, 20 ft west of State Highway 13, 1.6 mi south of Chittenango, 12 mi upstream from Butternut Creek, and 23 mi upstream from mouth. PERIOD OF RECORD.--October 1950 to September 1968, October 2014 to current year. GAGE.--Water-stage recorder and crest-stage gage. 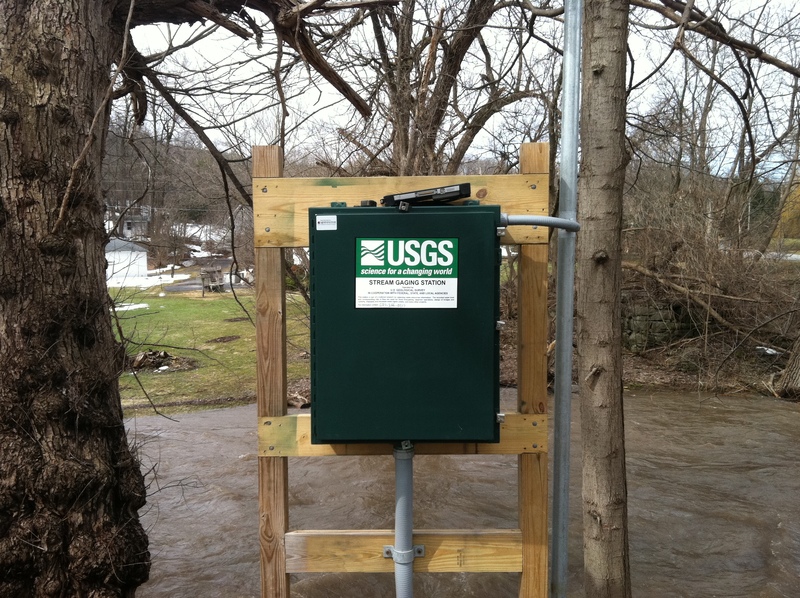 Datum of gage is 489.54 ft above NGVD of 1929 and 489.06 ft above NAVD of 1988 (VERTCON). REMARKS.--Flow regulated by storage in Cazenovia Lake and Erieville Reservoir. EXTREMES FOR PERIOD OF RECORD.--Maximum discharge, 5,110 ft³/s, July 1, 2017, gage height, 9.21 ft; minimum discharge, 9.8 ft³/s, Oct. 11, 1953; minimum gage height, 0.95 ft, Sept. 29, 2017. EXTREMES OUTSIDE PERIOD OF RECORD.--Flood of June 22, 1972 (Hurricane Agnes), reached a stage of 9.13 ft, from floodmarks, discharge, 5,200 ft³/s, from rating curve extended above slope-area measurement of 2,760 ft³/s at 6.80 ft.